A modern design slide rail kit with built in outlet, suitable for concealed shower valves. Its unique 'L' shaped design is perfect for hanging shower gels and accessories. 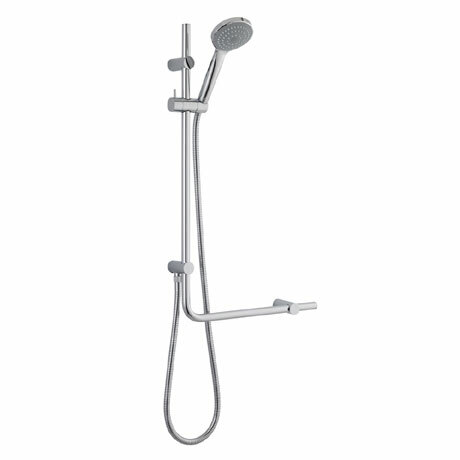 Beautifully finished in chrome this shower kit adds a contemporary feel to any bathroom.